A newly appointed 33-member Statewide Special Education Task Force will hold its first meeting all day Tuesday at the San Mateo County Office of Education in Redwood City. The foundation-funded task force was created at the request of State Board of Education President Michael Kirst and Stanford University Professor of Education Linda Darling-Hammond, who chairs the state Commission on Teaching Credentialing. The task force will spend the next year examining key aspects of special education: its mission and purpose, integration with the new Common Core State Standards, teacher preparation and training, aspects of funding and better ways to provide services for special education students. The task force will make its final recommendations in November 2014. State Board of Education member Carl Cohn, a retired district superintendent, and Fred Weintraub, a court-appointed special education monitor of Los Angeles Unified, will co-chair the task force. Its members include special education teachers, university education professors, school district administrators and representatives of special education parent support groups. 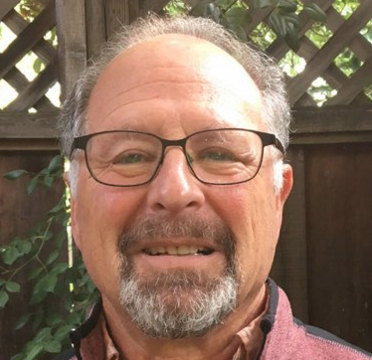 A number of the members are also parents of special education students, according to Maureen Burness, a retired assistant superintendent of Folsom Cordova Unified, who is a co-executive director of the task force. Vicki Barber, a retired superintendent of El Dorado County, is the other co-executive director. Kirst, Darling-Hammond and Rich Zeiger, chief deputy state superintendent, will lead off a general discussion of issues at the meeting on Tuesday. The education agency WestEd will present data on special education in California. The full agenda of the meeting and a list of members are on the task force website. …and just so you know; California CAC parents and parent advocates who network with each other are calling this a task “farce” due to the complete shutting out of any true parent/family representation. Keep patting yourselves on the back, thinking you’re all doing a great job while we go into IEP meetings with teachers like Torrance’s Suzanne Hutton. State reviews are a sham. Compliance complaints are not investigated as they should. Mine, so long ago was appalling. I sent written proof, PROOF that my son’s school was non-compliant. The state “investigation” consisted of calling up the school and asking: “did you do this?” and the school replying in falsehood; “nope”. End of investigation. State/school district/Dept of Ed is a CYA atmosphere set up more to protect jobs than to help children. Advocates fought against having Due Process hearings taken over from the autonomous McGeorge School of Law when it was transferred to the state run (and very biased) Office of Administrative Hearings where, not surprisingly, parents started losing their lawsuits at an alarming rate and information was more difficult to access regarding past hearings. Data does not show the true non-compliance that is rampant in all school districts. How can LAUSD claim “compliance” while under a Consent Decree? They’ve been under the Decree, and out of compliance for years. Neat trick. They have a Complaint/Response Unit that receives calls of non-compliance every business day…EVERY day, yet in the eyes of the state and federal government our “paperwork” shows complete compliance. The system is not working as intended. Part of the problem is the years and years of cuts and cuts. We have good people who retire, yet there is no budget to replace them. I’ve watched over the years as LAUSD’s Division of Special Education has administrators leave, their jobs not “filled” in the true sense of the word, but handed off to current employees. People are performing, impossibly well, 3 to 4 full-time job duties when in the past those duties were handled by one person with a support staff. Now there is little left of the support staff (the first to go in cuts) and these folks are expected to perform miracles. The hostility is real. Until parents are part of the process we will continue, along with our children, to be treated disrespectfully and brushed off as inconveniences to deal with until happy hour. We work with our children 24/7 and could offer some ideas, but, no – we’re just crazy…. It is unfortunate, but not unexpected, that the members were chosen to give a superficial appearance of parent representation while making sure that no one really representing parents would be there to bring an actual parent perspective. It does resemble how districts will decide in a “pre-meeting” what everyone is supposed to say, and then use the IEP meeting to give the appearance of parent participation in the predetermined result. I wonder when these folks will figure out that these little tricks are quite successful in ensuring that they only hear what they want, but the results work out badly – kids get crappy programs that don’t work and the districts piss away vast sums litigating to keep it that way – and letting the districts dump these externalities on the society that funds them might be related to how the well they’re pooping in is failing to support them as they wish. It’s just what they do – resting their thumbs on the scale and using little tricks to make sure that parents are not really heard from, so that they can freely do whatever they want. But is it working? If it is, then why are they bothering with a task force anyway? And if it isn’t, why not quit singing from the same tattered hymnal? No one representing the Inland Empire, San Bernardino or Riverside counties is on the task force, sadly. The call for Task Force participants did not filter down to our Special Education Community Advisory Committees at all. I am the current chair of the LAUSD CAC – the largest district in the state and 2nd largest district in the nation. In spite of having LAUSD’s previous Chanda Smith Modified Consent Decree Independent Monitor, Carl Cohn and the current Independent Monitor Frederick Weintraub as co-chairs of this task force, no one bothered to inform the families of students with disabilities or their CAC in LAUSD of this very important new project. I sent an email asking to have the task force consider my involvement as a 17 year member of the CAC, but no one returned my email request. Not even the courtesy of a quick acknowledgement of “sorry, not thanks.” They don’t really want us or there would’ve been a much better attempt at reaching out to the CAC organizations. We, as parents and as CAC members/participants are not being informed in a timely manner of proposed law changes, rule updates, committee involvements (such as this Task Force)so we can discuss as an advisory body and provide input. CACs are mandated to participate in many levels of involvement with the Local Plan, policy/procedure development and Professional Development but this is not happening as it should as intended by the spirit of the law. What CACs usually get are “trainings” or “informatives”. We are not at the table as intended by law with the actual creation of policy or professional development and that is wrong. The SELPA Administrators meet monthly and a few times some CAC members have attempted to attend in the past. As they are open meetings, the public should be welcome. These CAC parents were regarded as interlopers and not even offered food – coffee and snacks that a portion of our special education funding (our tax dollars) was used for. These SELPA Administrator meetings should include CAC leadership and allow us to be involved with important discussions and decision-making, but it is not the case. CACs are still trying to figure out how SELPA Admins manage to get their funding as we see more and more cuts to services for our children and less support for our CACs. The SELPA Administrators are not a legal requirement in the Ed Code, but seem to be a creation of SELPA Directors for the benefit of SELPA Director and District interests, not those of the stakeholders: the students with disabilities and their families. If it were an association created to help us, then we should be welcome to attend these meetings without animosity. How can we fulfill our CAC advisory mandate if not provided information in a timely manner? Until we’re allowed to be at the table for state task force discussions or other committee meetings (SELPA Admins meetings included), how are we expected to make truly informed decisions? It seems that we are just expected to sign compliance paperwork that has been created without our participation, spoon-fed to our committees as “informatives” without meaningful discussion/advisory input then sign and go home without questions. Unfortunately, while some of the newly-appointed members of the Special Education Task Force may also be parents and perhaps even a few may be parents of special education students, the task force is heavily weighted in favor of California’s public education agencies, and thus those parents will be outnumbered. In addition, those members of the task force who are parents AND reps of CA’s public education agencies can’t help but have divided interests/loyalties, for their economic well-being and that of their families is dependent upon the public agencies they work for. It does not appear there are any members of the task force who are solely focused on representing the interests of students with disabilities and the parents who must advocate for them against taxpayer-funded education agencies. This is unfortunate for a number of reasons. At least in IEP meetings, parents have a chair at the table. Unfortunately, that doesn’t really seem to be the case here. As well-intended as the new task force leadership and its current membership may be, it appears this effort is stumbling out of the gate. Hopefully, this process will find its feet and move forward and effect meaningful change, for our students with disabilities, their families, our communities and the State of California depend on it.